National Unification Day, also known as Unification and Integration Day, is a Liberian public holiday celebrated annually on May 14. It is meant to ease tensions between the indigenous majority and the Americo-Liberian elite. 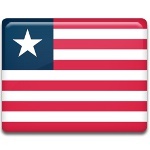 The Republic of Liberia was founded by free blacks who were relocated to Africa by the American Colonization Society. The colony was established in 1822, and 25 years later Liberia became an independent state. The Americo-Liberians established a system of racial segregation similar to that in the United States with indigenous population at the bottom and themselves at the top. The segregation led to significant tensions in the Liberian society. In 1944, William Tubman became the President of Liberia. In his inaugural address, he introduced his policy of national unification aimed at reducing the social and political differences between the native tribes and Americo-Liberian elite. For instance, he enfranchised the indigenous Liberians. National Unification Day was declared as a national holiday in 1960 as a means of supporting Tibman's policy. Unfortunately, the animosity between the two groups is still a pressing issue. Despite the national unification policy, Liberia was devastated by two civil wars in 1989-1996 and 1999-2003.